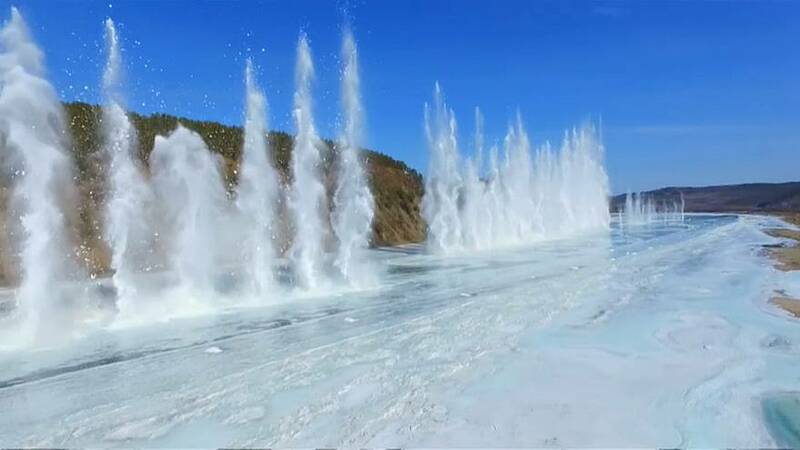 A series of ice-breaking detonations were carried out on Sunday at a melting section of the Heilongjiang River in northeast China to prevent potential ice jams that could pose danger to nearby residents. The blasts broke the frozen river surface and sent plumes of ice flying high into the air, creating a spectacular scene along the Mohe County section of the Heilongjiang River in northeast China's Heilongjiang Province. The detonation operation was implemented along a five-kilometer stretch of the river which is also known as the Amur River, a boundary river between China and Russia.